I offer a full range of options for your special day. 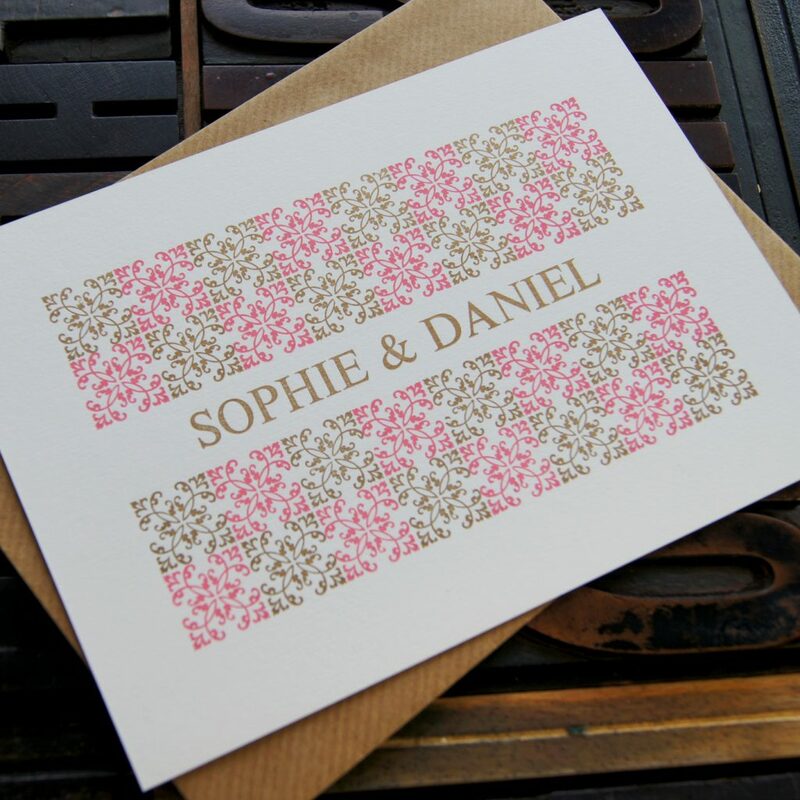 Letterpress offers complete flexibility and a creative way of printing allowing a range of features, finishes and customisation options, meaning you can really have what you want. Standard range – I have a selection of designs that I have developed over the years, for individuals who would like to pick a design and choose colour options to match your theme this is a great and quick option. Bespoke – I offer a fully bespoke option working with each couple to create their vision – the design and print options with letterpress are wide and varied from colours, finishes, custom card stocks, debossing to finishing touches like name labels and custom posters the options are vast. 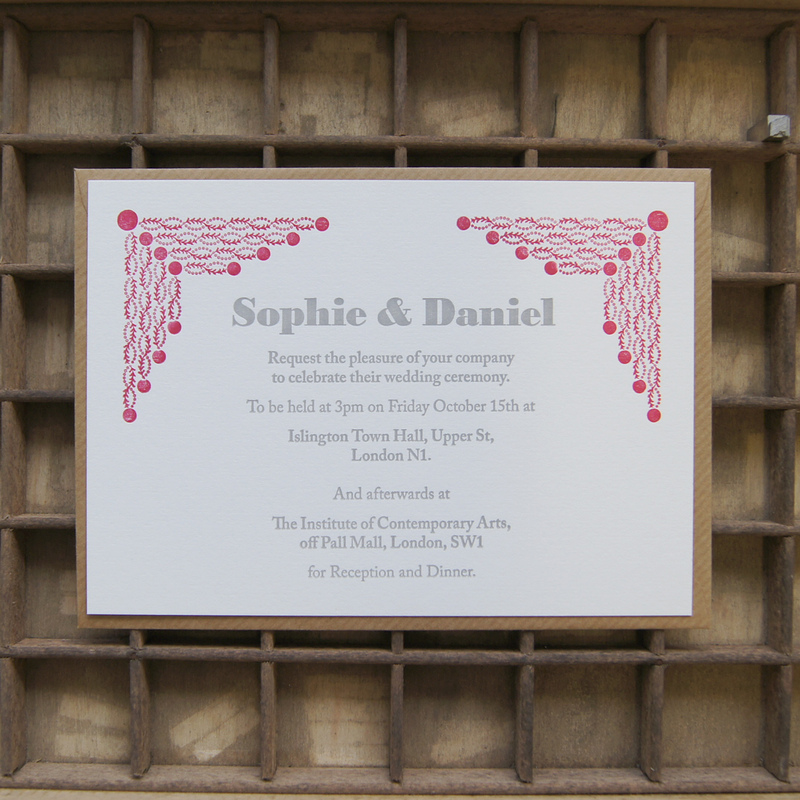 Wedding Workshops – For the creative couples out there I am able to offer a have a go option ! 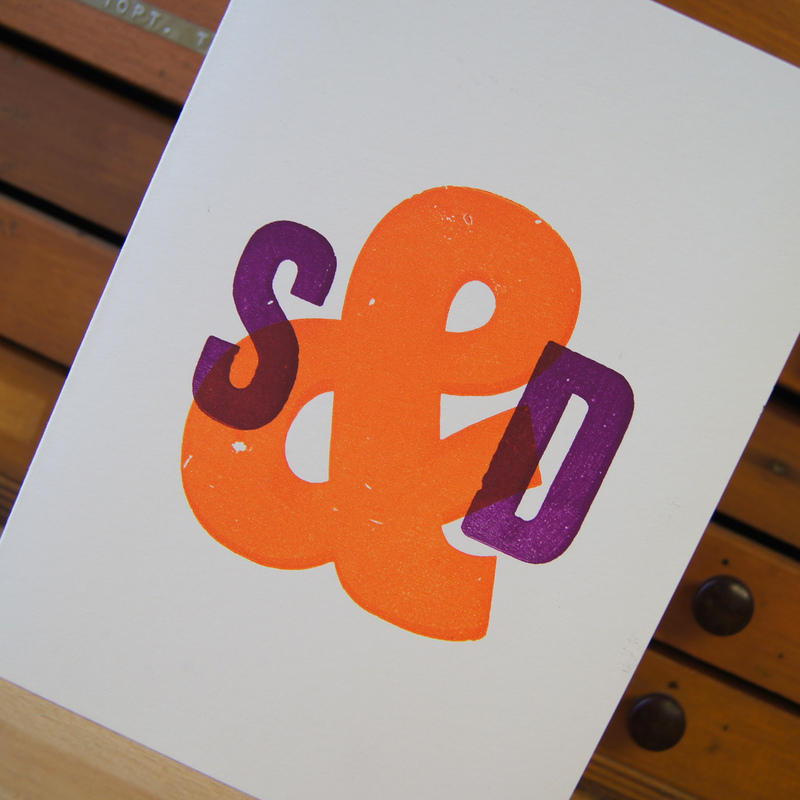 come to the workshop see, do, print and make. If any of the above options take your fancy just drop me an email at info@typetom.com and let me guide you through your choices.